Tami is a trusted, engaging media contact. She has shared practical, positive, science-based messages through hundreds of radio, television, online, and print interviews as a product or company spokesperson, and through promotional opportunities for her books. 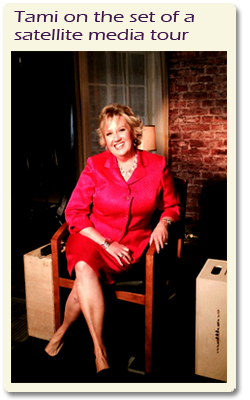 She is experienced in satellite media tours, television shows, filming other media segments, and social media. Many of her interviews are available on YouTube.